sometimes blending in, sometimes not. Shane Mizell knows other people see him this way, although he’s none of these things. But first impressions form quickly when he’s bagging groceries at the supermarket, sitting in the stands at a baseball game, or just walking down the street. Most people would never suspect that Shane, 21, has an autism spectrum disorder. “People with autism don’t often have ‘a look,’ so they’re not as easily identified,” says Heidi Mizell, Shane’s mom, who became all too familiar with others’ misunderstandings in the course of raising her son. “Our children look so ‘normal,’ and when they have an unexpected behavior, the public is critical and judgmental.” Indeed, when you meet someone who blends in one minute and appears “different” the next, how to react? Autism is a spectrum, with mild and severe forms. 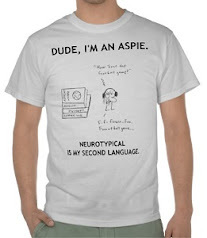 Shane’s diagnosis of Asperger’s syndrome means he meets many, but not all criteria for autistic disorder. He has difficulty socializing with peers, verbalizing his thoughts, and knowing what someone else is thinking. But even mild autism comes with severe challenges. When Shane was younger, teachers misread his behavior. “He would be paying attention when it appeared he wasn’t,” Heidi recalls. “He’s one of those kids who needs to fidget to listen, or ‘not look’ to listen.” His teachers were simply unaware a person with autism will typically not look someone in the eye. This is not out of rudeness; they simply prefer to concentrate by processing one of their senses at a time. Autism is not a disease, but a neurological condition. The autistic brain is slower to recognize social signals like facial expressions, gestures, and tone of voice, and all the subtle information they contain. Ambiguity or surprises can be upsetting, as can crowds or noise. Shane describes it as sensory overload. “It feels like everything’s starting to surround me,” he explains, “And I need to get to somewhere quiet and calm, and stay there for the rest of the day.” If removing himself from the location is not an option, he may “shut down” and be silent. People with autism may also appear to have “super senses” due to a highly sensitive brain. “I can hear things that people usually wouldn’t hear,” Shane says. “Really high pitched sounds. I have to point to it and say, ‘I can hear that!’” But sometimes people don’t believe him, he says with a laugh, so he stopped pointing out his super-hearing. Shane also interprets things literally. 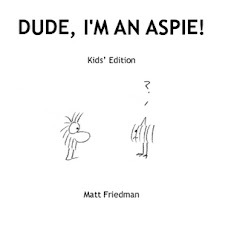 Due to a neurological delay in reading others’ tone of voice, people with autism are slower to detect sarcasm or idioms, as Heidi learned on one memorable trip. Despite its challenges, autism has positive aspects. People with autism tend to be honest, detail-oriented, and good problem-solvers. Often, they focus on a specific subject and achieve high levels of success. But other times, their strengths go unnoticed. At his supermarket job, Shane has been assigned to bag groceries or retrieve carts. He’d like to do more, like stocking shelves, but doubts they’d trust him with the responsibility. Families like the Mizells hope to raise awareness and increase the public’s comfort level in interacting with people with autism. After all, many are already among us in everyday life. Most of all, Heidi says, people with autism deserve the same respect as others. Shane, for his part, takes his differences in stride. Anyone who takes time to know him will see he is intelligent and polite, with his own sense of humor. Those who don’t take the time, don’t bother him. “I really could care less about what they think,” he says. With a condition as “invisible” as autism, a little knowledge and respect can go a long way. The only times my son got in trouble at school (suspended) was when someone called him retarded and he fought back, in his case verbally. How could I be angry? He was sticking up for himself! It's hard to understand how someone with his intelligence could be in a special-ed class part time. And although those who picked on him probably had their own issues...it really ticked him off. He is in good company. From what I remember, Temple Grandin and John Elder Robison got in trouble (was it even kicked out of school?) when someone called them retarded. "I really could care less what they think." Good attitude. I think we do our kids a disservice when we feed them "social stories" so they can get along with people who are basically assh....asshats. Brains, I would have fought back too for that. Really, suspended for verbal retaliation? I hope the other kid was suspended too. You gotta understand, Ben was in the "Asperger's" classroom, where they were big into behavior. So he couldn't get away with anything. Took Ben off the Ritalin, no more "behaviorally-disordered" classroom. Guess what? He's 17 and going to Tech college (in industrial electronics for now) and has no problems. They call him a "shy nerd" but they accept him. We did it at Temple Grandin's suggestion. She said high school was torture for her, and suggested Tech school was good for our kids. She was right. Shane Mizzel reminds me of a kid I went to school with. We were friends and went to a few dances together. I thought he was kinda "slow", as he had failed 2 years. He told me 40 years later he remembered me as "scary smart". I think we were both on some kind of spectrum, ha. Turns out he wasn't too slow to become a millionaire. (Dammit, wished I'd a known...) School isn't life. Let me say that again...School isn't life. I really enjoyed reading this profile of Shane and how he is making his place in the world. I'd like to see more profiles like this. Awesome, I am glad things are going well for Ben! Hopefully he's found his niche. Thanks Papa Bear, I'm glad you enjoyed it! Yeah... everyone will have their troubles and fears and such. It'd be nice if everyone were aware of it! But that isn't life, is it? Finding your niche in life is not near as easy as it sounds. And when you do, you come across difficulties. Even naysayers in your own family. Why do you want to do that? You're not going to make enough money. That's not your style. Strange stuff, isn't it? I'm going into management where I work... wow. I've tried it before, but I don't think it worked cause I didn't have many people then who thought I could do it or those who didn't do much to help me. This time I have some more people willing to help me learn the ins and outs. Only 1 of them is aware of my Aspie-ness though. But that's ok. Last time there wasn't anyone. Even myself at that point, so I didn't know how to go about it. Sorry. Rambling. My point is supposed to be this - too many people are not aware of how far out of our "skin" we go to do things sometimes. Some of them don't realize how it is to push yourself on things that come easy for them. Chris, this is so true, it isn't easy to find your niche. Harder still to hang onto it once you think you've found it. It's great to hear you're going into management and you have support. I'm sure this will help you be successful. Your last point is very important, and you say it in a very good way. Others do not know how far they sometimes ask us to push. I'll have more to say on this topic in an upcoming post - stay tuned. About the conversation: I hate the term "find your niche" as though there's some perfect cog-in-the-machine role for each of us and we'll be totally incomplete until we find it. It's as full of crap as the romantic concept of "the One", and it's not fun. I much prefer that people try to find their calling, vocation, or thing-they-love-to-do-and-do-well. It's such a more open, fulfilling concept, ESPECIALLY for aspies I think. W., thanks for the distinction between niche and calling. Myself at least, I kind of think of them the same way. I don't think of there being "the one thing" I should be doing or "the one place" I should be, but more a set of criteria I need to feel useful and happy. Well, I guess I can see the distinction... for me though, a 'niche' isn't necessarily a 1 thing only type of thing (sorry if that didn't make sense)... I've always used niche to mean where I fit (best way to sum it up)... a little hollowed out place in life where I feel comfortable with where I am and whomever I may be with. Hey, even in English there are our little "dialects", right? It's all good. That's one thing I like about this blog. We can (at least now and for the most part!) be respectful of each other (I'm sure there are some who remember the posts on the original cartoon). It does seem to have calmed down considerably since then. I find this blog to be a niche for me. Where I can feel good. Oh, and yay... I could be the inspiration for a future post? Cool! I even read that post yesterday... and I didn't recognize my own quote in it! I had to go re-read it! Wow. Sweet! I think it's totally cool that you quoted me! Thanks! I still can't get used to the new pic! lol! It's all good, though! It's just another one of those things for me! As long as you keep blogging, I'll keep reading! Thank you for this post. I'm a woman, student, self-diagnosed, with an undiagnosed brother on the spectrum as well. 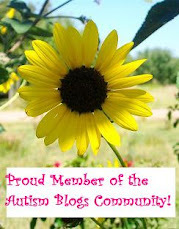 I've been browsing around the ASD blogosphere lately, and this is one of those posts that just clicked for me. I used to get a lot of flack because I didn't look at people's faces when I had to interview them for things (I just scribbled, often rather violently, in a notebook). Nobody seemed particularly receptive to my telling them that that was the only way I could listen! I also relate to the shutdown reaction to sensory overload. I occasionally got dragged to parties, and people would get so frustrated with me when they couldn't get me to talk or look at them. I'm sort of privileged in that I "pass," but it comes with its own challenges: people always think that I'm just lazy or stubborn, or that I don't like them. It's a huge relief every time one of these pieces falls into place and I see it's not just me - for so long I felt so guilty about some of my "failures" to perform neurotypically. Thanks, thanks, thanks for inadvertently lifting some of that burden. Hi, Sister on the Spectrum, thank you for visiting. It's so true that "passing" comes with its own challenges. I have heard, too, that many people, not just Aspies, find they need to doodle to listen. I'm glad you've found a connection with others who experience the same frustrations. Am a person who doodles to listen, too. I have come to the conclusion that I get bored of just listening, and my train of thought is likely to wander. It can look rude, I know, and I have to be careful where I do it and what I choose to doodle - I manage to hold down a 'proper' job, but openly doodling in training sessions and conferences seems to gain me odd looks. I know that it should not matter, but am also aware that it is one of those odd things that does! Also feel very at home commenting on a blog where many other commenters seem to make long, rambling statements - much as I do! Thank you, Dith - yes, I think rambling and doodling go well together - so ramble away! Oh, yes, the attention and fidgeting thing definitely resonates with me. Being told by peers in high school, "It's amazing how you get good grades and never pay attention!" was a shock, but not a problem; being told by the hall leader person at a religious college that we all need to sit motionless through mandatory chapel services because "it's only an hour!" could be a serious conflict, and I'm still waiting for my compulsive/defiant doodling habit in such situations to blow up in my face. Yep, it's that "quiet hands" thing again that gives us so much trouble. 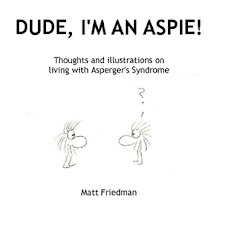 i was dignosed on in 2007 with aspergers syndrome, and after alot of reading and research, it was one of now i know why i behave the way i do discoveries, and why i got bullied at school a lot, thoguht i was only dignosed in my early 30's its still a struggle to wrap my head around sometimes and never been understood by what as known as neurological types or nt's for short, i get into trouble for what i say and feel contantly like im being picked on when sometimes i dont think about what i say or sometimes dont care how other people are feeling or why im so obsessed with a certain topic, althought aspergers i know is not an excuse i can keep refering to if i slip, but others dont want to accept its the reason why i do and expect me to contain myself or act normal, i too hear nosies others cant like far away smoke alarms or a high pitch noise, i had to escape a crowded shopping mall once as the noise was too much and sat in front of a pokie machine to sit and relax and enjoy the quietness that was there on that day, i have a an identical twin who wont get tested but i think he has the same problems but he wont face anything, i persoanlly like my own space and hate being touched or even making that much eye contact as it feels weird to me i did join wrongplanet.net website to get more info which has been helpful. Hi Michael, thanks for your comment. It can be a challenge to understand why we act the way we do, but to have a name for it and connect with others like us is helpful. I'm glad you're learning more about Aspergers and how to cope.